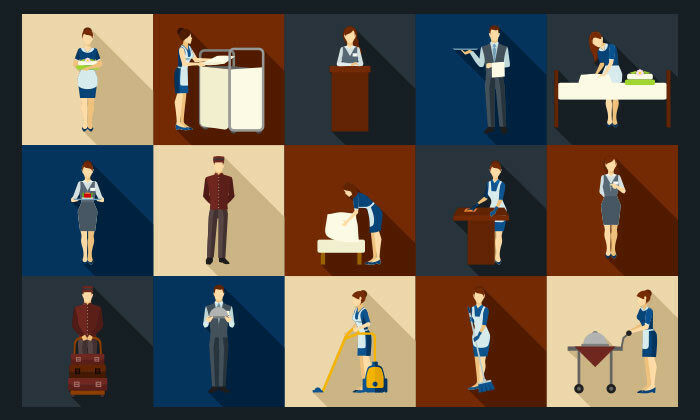 In the hospitality industry, the most important people in the business are the front-line employees. That was one of the key takeaways from a presentation by Eugenio Pirri, vice president people and organisational development, Dorchester Collection, at the International Recruitment Forum hosted by the Swiss Education Group earlier this year. “The most important person in the business is always the employee because at the end of the day, the employee touches a lot more people than the general manager does,” Pirri said. Sharing a case study within Dorchester, Pirri said: “At Dorchester, one of the things employees said we didn’t do well was work-life balance. When thinking about work-life balance, the first thing that came to mind was employees working for too long and not getting enough breaks. Hence the HR team took it a step further, asking employees what they had meant by work-life balance. They set up stands at hotels in which this feedback was more prevalent. “What we heard from employees was that they found it hard in their eight hours of work because they get a lot of requests from guests and things along those lines. From that exercise, they realised that what they needed to do was to provide employees with work-life balance within their shifts, which meant leading in a different way. “We all think about productivity and that we need to get the most out of the employee during the eight hours that they are with us. “But at the same time, we wanted to solve the problem they had with work-life balance so we started to look at what they could do on their breaks. We think about if they could do yoga classes, providing fresh juices, creating relaxation areas, and holding various events during their shifts and such, and in a year, work-life balance didn’t even show up as a concern anymore,” Pirri shared. ALSO READ: Are degrees really necessary for a management role in hospitality? Hotel Institute Montreux, one of the five schools in the Swiss Education Group, offers students a specialisation in HR (endorsed by Four Seasons Hotels) in their fifth term. Seeing as graduates can potentially become tomorrow’s top HR leaders, Human Resources, spoke to Helen P. Bayne, programme leader – higher diploma, Hotel Institute Montreux, to find out what skills future HR leaders need as well as how the function will look like in 10 years’ time. What are the 3 skills HR leaders need in the future? Bayne: The most important skill is to be able to align the HR strategy with the organisational strategy. It is crucial for HR leaders to understand how what they do in HR relates to the rest of the organisation as well as to be able to influence the organisation’s strategy by looking ahead at trends. At the same time, they have to know how to manage employee performance well, as well as how to then create a succession pipeline. HR leaders must be able to have a conversation with both employees who are performing well as well as those who are not performing so well. Last but not least, in today’s diverse workforce, HR leaders must be able to identify and resolve conflict in the workplace – not just conflicts that have already arisen, but also latent conflict that are under the surface. How do you think the HR function will look in 10 years’ time? Bayne: Hospitality companies are well known for looking after their guests, but that also starts with the staff – they say that employees are their main asset and they’ve been saying that for a long time. For example, Marriott calls their staff associates and believes that if they have happy employees, they have happy guests. I think that will permeate throughout other businesses. I feel that in 10 years’ time, HR will be just as important or more important than how it is now because of all the challenges that people are facing from various impacts from changing politics and the changing economy. As businesses expand and look for talent, the HR function will be the one to drive companies forward, from recruiting someone with a crucial skill, to helping the organisation to be seen as the employer of choice. The biggest reasons for making a career switch are the desire for a better salary and lack of growth opportunities in the current ..